Some studies show that an interviewer, stranger or a blind date will form their first impression of you within 60 seconds. Other studies show that an impression will be formed within the blink of an eye. Whichever one you would like to believe, anywhere between 0 to 60 seconds is not much time at all. No matter how smart, kind, hardworking or ambitious you are, when walking into an interview, your outfit will say a lot about you as a professional. So after you’ve updated your resume, done all your research on the company and you’ve rehearsed your answer to “What is your biggest weakness?” in the mirror ten times, keep in mind these quick tips when going to your closet to choose that perfect first interview outfit. K.I.S.S. – Keep It Simple Stupid. When choosing that perfect interview outfit, keep in mind you want the employer’s attention to be focused on what you are saying and not what you are wearing. While every girl has her favorite statement necklace, extravagant accessories can distract employers and pull their attention away from what you are saying. Less (color) Is More. – We’ve all heard the old adage that wearing red shoes commands power. While I am a strong believer that no closet is complete without a pair of red pumps, when it comes to interviews, you want to stay away from bright colors as much as possible. Black, white, tan and grey are the four colors to try and stick with when choosing outfits for an interview. You can break out those floral patterned pants AFTER you get the job, pending the dress code allows them. Your Hair Is Your Best (or worst) Accessory – Having long hair is a blessing and a curse. One of my worst nervous habits is touching or messing with my hair during an interview. To avoid making the same mistake as me when getting your hair ready for an interview, hairspray is key. Whether your do is up or down, make sure it will stay in place and not be a distraction to yourself or anyone in the room. When it comes to the color of your hair…please refer to Tip #2. Purple highlights may have been fun when we were 16 but in a professional environment, a rainbow ombre isn’t going to cut it. Just shave it – Guys, we get it. Facial hair is the new trend that a lot of men today want, but before an interview, PLEASE shave it off! Most career experts agree that facial hair can come off as lazy if unkempt, and even a manicured beard or mustache can look improper and unprofessional. Although some companies don’t have a strict policy when it comes to facial hair, it’s always better to be safe rather than sorry. It will grow back. I promise. Quality Over Quantity – Today’s the day, biggest interview of your life. You open your closet, and your options consist of the suit you wore ten years ago to your senior prom or that orange tux that hilariously makes you look exactly like Lloyd Christmas in “Dumb and Dumber.” Go back to bed and think about how you got to this point in your life. A clean cut suit is a staple for every wardrobe and a go-to for any interview. A good rule of thumb for suits is quality over quantity. A nice, well-fitted, navy blue or grey suit can go a long way in a first interview. Accessories are a man’s best friend, right? – However that saying goes, there’s no denying that accessories are an important aspect of any acceptable interview attire. Brown or black dress shoes are the only two options you get when going to an interview. Sorry, that’s just the way it is. Want to take a guess of what color belts are acceptable? You guessed it! Brown or black. Making sure your shoe color and belt color match is a very small detail that will be sure to impress any employer. While the options open up a bit more when it comes to ties, no one will take you seriously if you wear that American flag tie you once bought for six dollars from Walmart. Pastel colored ties are always a great idea. They won’t draw too much attention during an interview and they will look very professional. So when your next interview comes around, you can now be a little less stressed about impressing your (hopefully!) future employers. Remembering to keep your attire neutral, simple, modest and clean cut will always lead you in the right direction. And be sure to keep in mind that no matter what you are wearing, confidence is key! 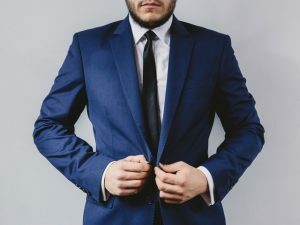 This entry was posted in Job Seekers and tagged business tips, Dress to Impress for Job Interviews, first impression at a job interview, interview advice, interview fashion, professional wardrobe. Bookmark the permalink. Good tips here. What you wear to an interview creates an image or perception of the type of person you are, so choosing your attire is critical to presenting yourself as the right candidate to hire.